Welcome to this EMC Support Community Ask the Expert conversation. This Ask the Expert session would like to hear your questions about the TCE program and also take notice how you might like to engage with TCE in the future. At EMC, Total Customer Experience (TCE) is more than just a phrase. It is a way of thinking and it is also an entire department dedicated to collecting and acting on your feedback. It is that feedback that allows us to engage with you seamlessly in the 3rd platform. We are leveraging your social media voice to understand your thoughts on our current products and to build our next generation. We are also building a Cloud like experience by consolidating all of your feedback. Whether you engaged via social, mobile, survey, or direct with a representative, your voice will reach the right person. Peter Hunt is currently a Director in the CS Innovation group within EMC's Global Services organization. A professional with over 30 years' experience in Technical Support and consulting, Peter has been with EMC for 8 years. During 2010-2011 Peter managed the Live Chat program globally for EMC's Customer Support Services organization, and in 2011-2013 Peter led the development of the EMC Support mobile app for iPhone and Android platforms. Brad Barker is a Business Operations Consultant with EMC’s Total Customer Experience organization. He is responsible for EMC Customer Experience (CX) programs which won the 2013 TSIA Award for Innovation in CX and have been recognized by winning the prestigious Tempkin Customer Experience Excellence and Omega NorthFace awards for demonstrated distinction in customer listening and loyalty programs. Shawn Murphy is a the Director of Global Quality. He has been engaged in a wide range of high tech roles for nearly 20 years. Today, using his strategic planning, execution and people skills he is committed to the Total Customer Experience (TCE) through product quality, measurement and program excellence. As a Quality Lead for EMC’s TCE team he drives direction of quality, customer experience, and efficiencies through business strategy and requirements. Shawn has created a model which defines and deploys Corporate Quality value and innovation – based on best practices and internal and external voice of customer, field and partner. This discussion begins on April 21 and concludes on May 16. Get ready by following this page to receive updates in your activity stream or through email. Recognition Bonus: Get an exclusive badge! Engagement in this Ask the Expert session automatically earns you a badge for the current TCE Mission [https://community.emc.com/docs/DOC-34682]. 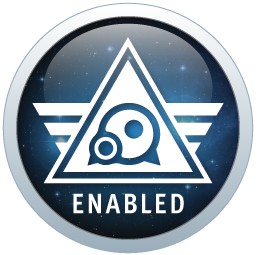 Comments and questions earn you one badge, and video posts earn you both the TCE Mission badge and an additional badge as part of the Video Mission. Every time I get a survey from hardware working being done by a CE I try and answer it. I'm sure you send out a lot of them. What percentage of participants actually respond? What have you gleaned from the data collected? First of all, THANK YOU , for responding to the surveys. The feedback that you and the other respondents provide to EMC through the surveys is critical to our on-going improvement of customer services. I don’t speak just for myself….I also speak for the management of the Customer Services organization up through the executive staff. I can share with you that the VP responsible for EMC tech support organization checks the CSAT scores and reads EVERY survey returned for his organization each morning. Approximately 21% of customers respond to the survey. This is a high percentage as compared to the industry average and is an indication of how participative EMC customers are in partnering with our service organization. Every survey that is returned is sent to the service manager responsible for that activity. When a poor survey is returned, the manager is responsible to call the customer to follow-up on the activity to see if there are outstanding issues and to take corrective action. This is a mandatory process within EMC and each manager is goaled on his/her completion of follow-ups. The survey feedback that is collected is entered into our big data warehouse and analyzed against key metrics and indicators. Of particular note is EMC’s use of advanced text analytics to mine feedback from verbatim comments. We get our most valuable information from the comments that customers enter into open text fields of the survey. Noticeable trends are identified in real-time and shared with responsible managers for immediate corrective action, if needed. On a quarterly basis, the data is compiled and presented to the Customer Services executive staff with recommendations for improvement. 1) Text analytics indicated that customers in North America were dissatisfied with language issues associated with certain support centers. EMC engaged language and accent training, cultural training, and even opened a new support center in Utah to address the customer feedback. 2) Satisfaction with time to resolve of certain types of service issues was poor. As a result, EMC’s support systems were bolstered to help service engineers manage resolution times. A great deal of investment has been made in EMC’s service delivery as a result of customer feedback. We are constantly looking to improve our services and we appreciate the feedback that is shared by our customers. Can a Customer have a mobile experience (app) while filling the customer survey when the SR is Closed? It looks as if "3rd platform" is new catchy word this summer. I have seen definitions being rather wide and standards rather loose - where does EMC stand there? Do you only observer and try to server or do you take active participation where you try to define standards? How disruptive is 3rd platform for your own R&D? What I find is that technology is changing so fast that big companies have some issues following it from their "as service" corner. 2) At this time, we do not have a mobile app for you to take a survey upon close of the Service Request. The current survey process is dependent upon the SR being evaluated upon its closure for eligibility and an invitation being sent to the customer. However, we are exploring this type of app for deployment in 2015. Stay tuned! The 3rd Platform is defined as the next phase of the IT revolution and includes mobile computing, social networking, cloud services, and big data. It was actually International Data Corporation (IDC) who coined the phrase. IDC predicts that from 2013 through 2020, these technologies will drive around 90% of all the growth in the IT market. It is expected to grow to include billions of users and millions of apps. The Third Platform is a significant part of EMC strategy. For the past several years, EMC has been developing Third Platform technologies based around cloud, big data, and trust. We’ve been working to ensure that we align our products and services to support the industry’s transition to the Third Platform. For example, our recent investment in Pivotal illustrates how EMC is evolving our products and R&D. I’ve been at EMC for 16 years and I’ve found that EMC both defines, and adapts to, changing technologies quite well. We’ve had our eye on “the Third Platform” for many years and will continue to drive innovation in this area. Thanks for participating in “Ask the Experts”! Is it on the roadmap the hability to work on a SR with EMC engineering via social network such as Twitter ? I don't think twitter can give you security model as current service request models do so I do not see that happening. However, having twitter like chat feedback within global SR management might be something to consider.